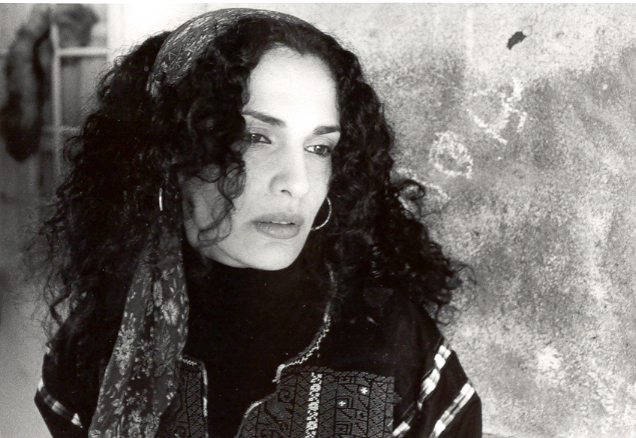 Recently it seems as though there is no such thing as an Arabic language film - Israeli or Palestinian - without the presence of actress Raeda Adun. Propaganda film or message of peace? A man returns to his village in Palestine to a hero’s welcome, praised for being a political prisoner. Although Israeli settlers are encroaching on their olive groves, the main conflict of the film arises when he falls for the same girl his younger brother has secretly been courting. The story is a drama between two brothers, two sisters, a mother, a father, and an olive tree that takes care of the village. Although the film is set in the middle of the Palestinian-Israeli conflict, the story stays focused on the two brothers, and the younger sister Raeda (Raeda Adon). In doing so, the film makes its points gently and affectionately, in the context of family, tradition, and love — universal values that surreptitiously bind the audience to the main characters. Palestinian Hanna Elias’s first feature snares its intimate cast of characters in a tightening web of emotional obligations—to family, self and country—with a classical economy of storytelling and an eye for dramatic conflict. Mazen has just been released from an Israeli prison for setting fire to an Israeli settlement site, which, if finished, would have demolished his village’s all-important olive groves. His younger brother Taher has fallen in love with the beautiful Raeda—a love kept secret because, by tradition, older brother Mazen must marry first. And Raeda’s father Muhamad, the patriarch of the groves, is dying, and seeing in Mazen’s sacrifice to save the olives a protector for the groves once he’s gone, pushes Raeda to marry Mazen. Meanwhile, there’s Raeda, torn between these two worthy brothers, but only in love with one of them. How does one choose between passion, respect and obligation? The Olive Harvest shows how, for Palestinians, even a love story is inseparable from the struggle over the land. The olive trees, nurtured by generations, are a literal statement that Palestinians have roots in Palestine. Israelis are seen as the destructive intruders. The Olive Harvest is an unparalleled opportunity to see an impassioned Palestinian point of view to which Americans are rarely exposed.